Constitution Day on Sept. 17 marked the anniversary of the signing of the U.S. Constitution. 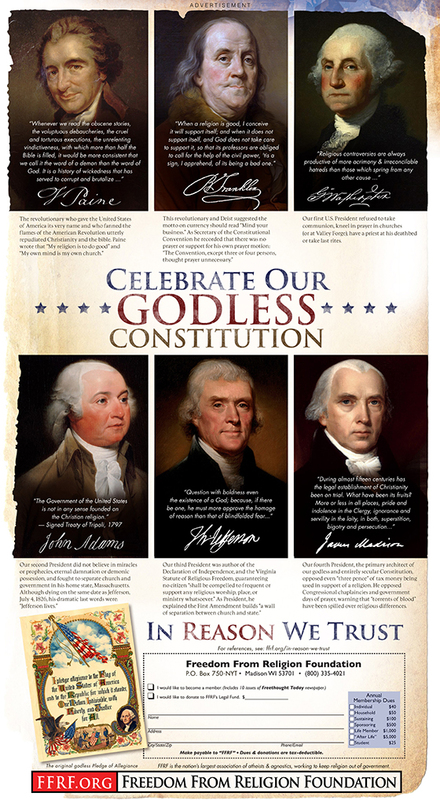 FFRF sponsored this ad to stress the secularism of the U.S. founders. FFRF members are encouraged to place similar ads. Contact us if interested.